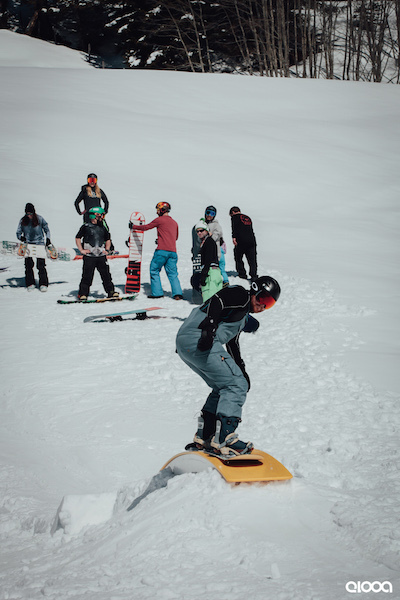 Bluebird conditions, elooa coaches, pros from the Blue Tomato team and a private snow park were all on offer for 30 lucky riders at the second annual elooa Home Sweet Home Camp this past weekend. 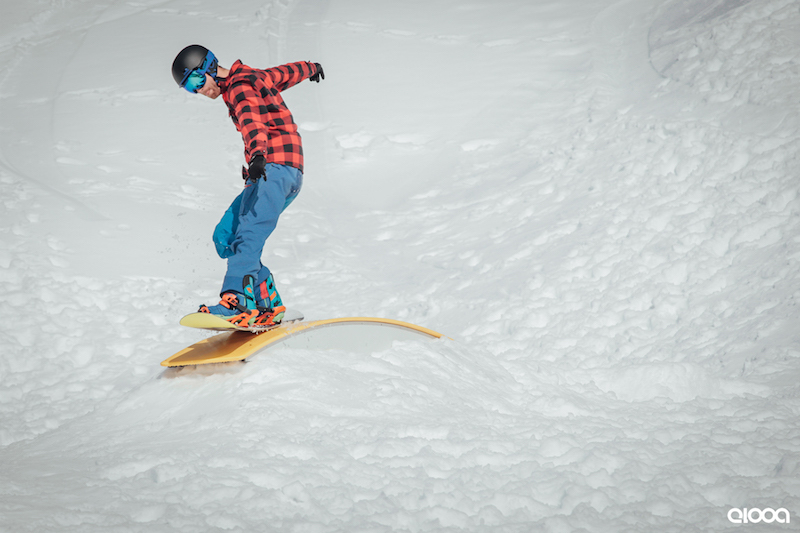 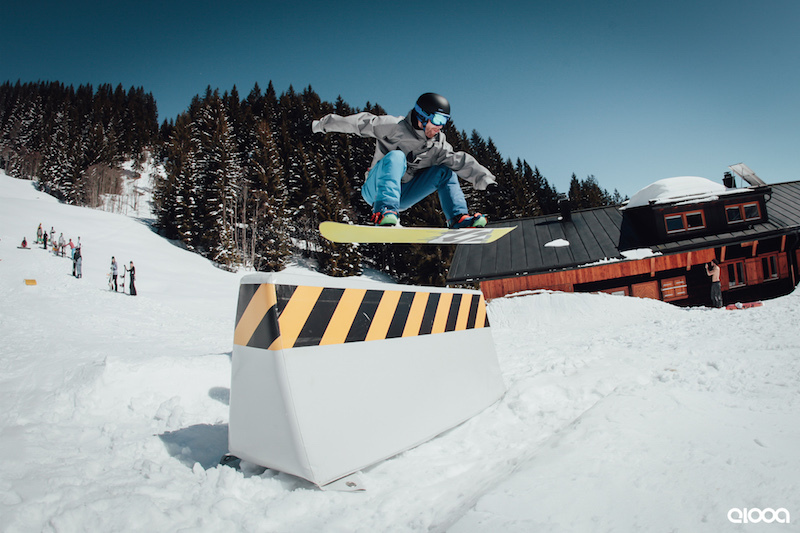 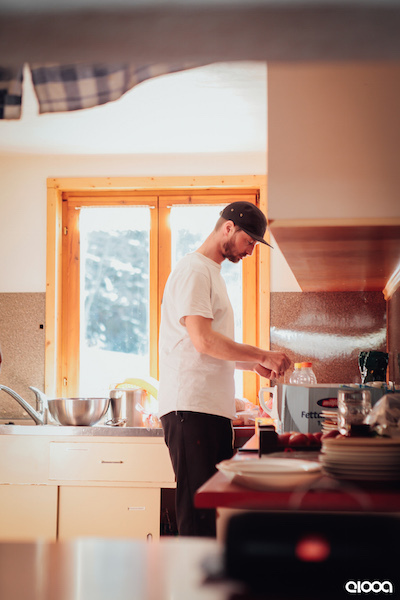 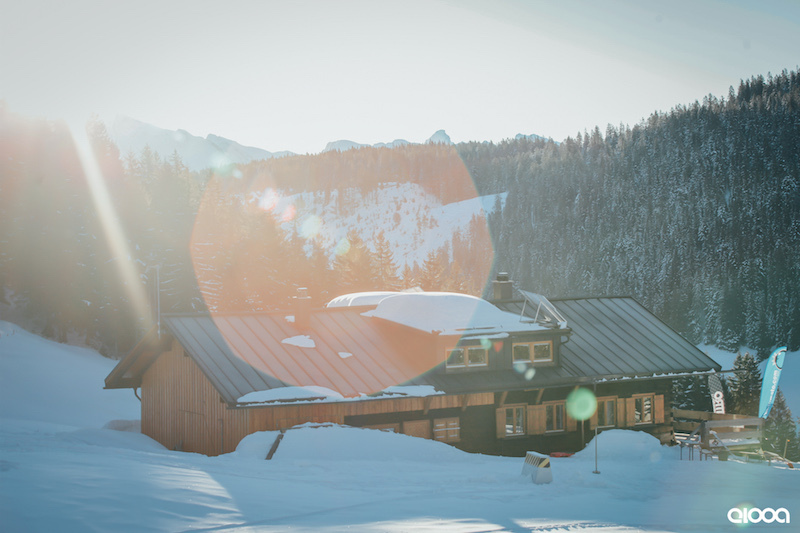 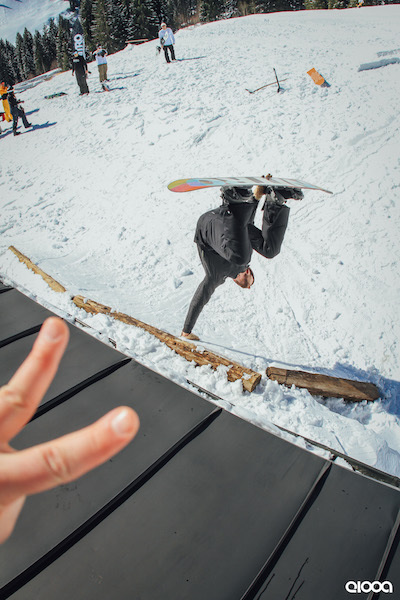 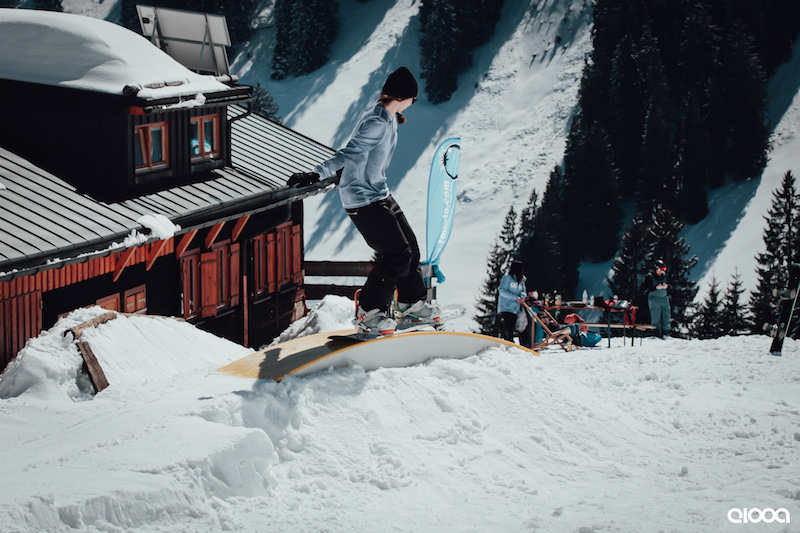 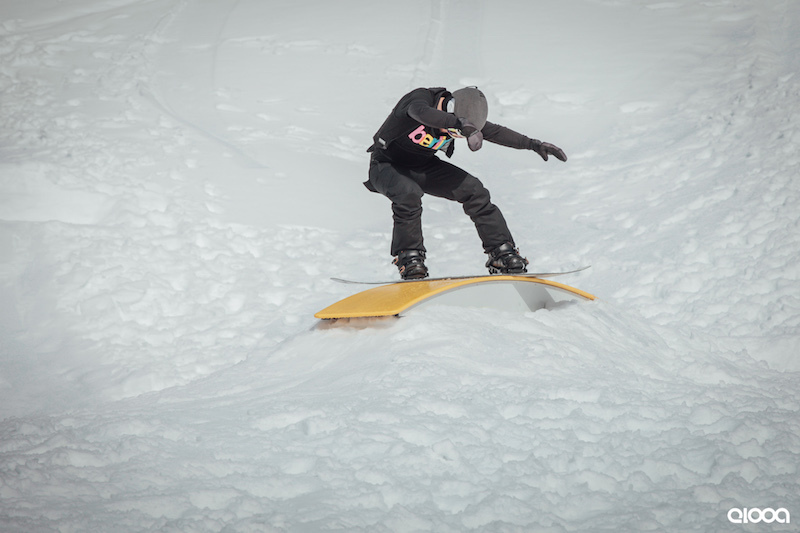 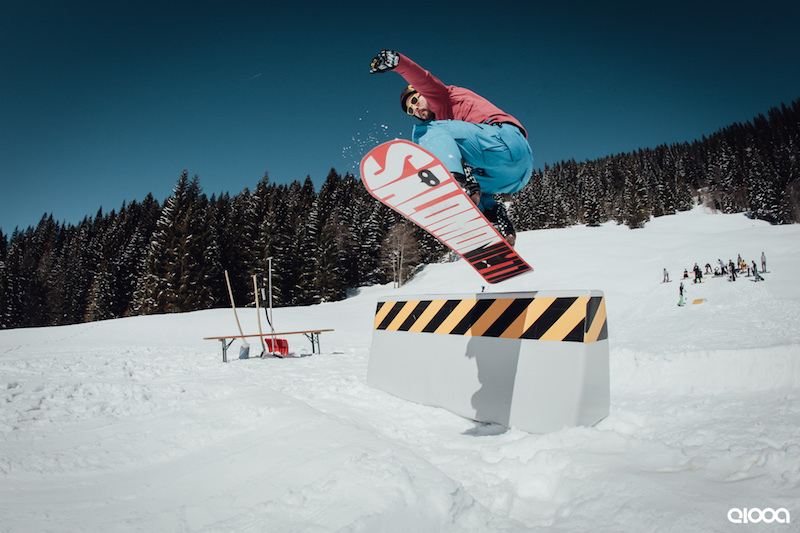 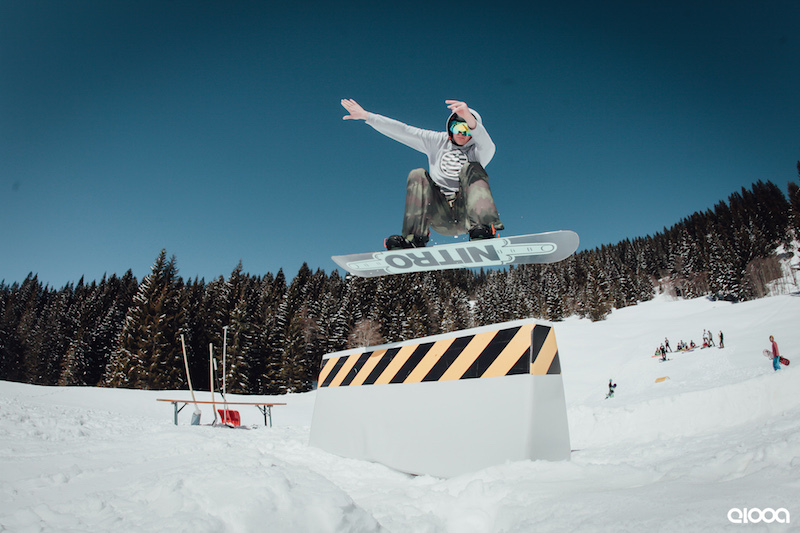 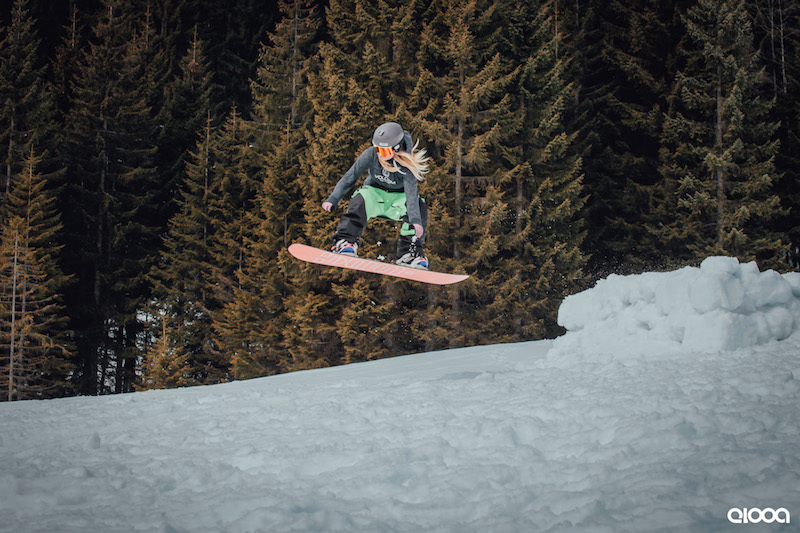 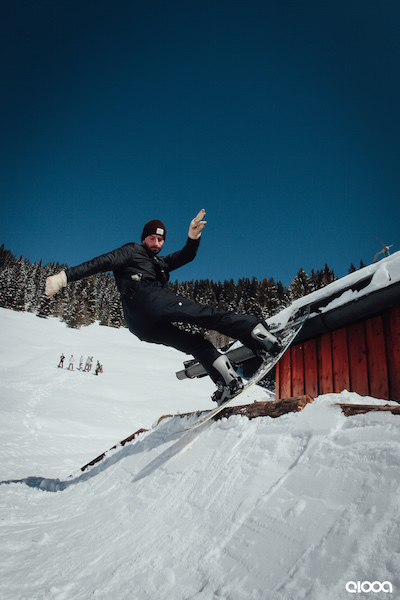 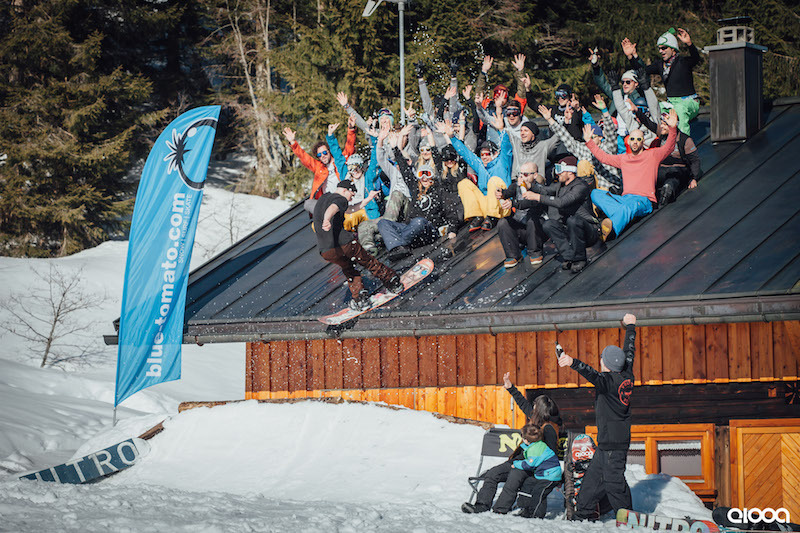 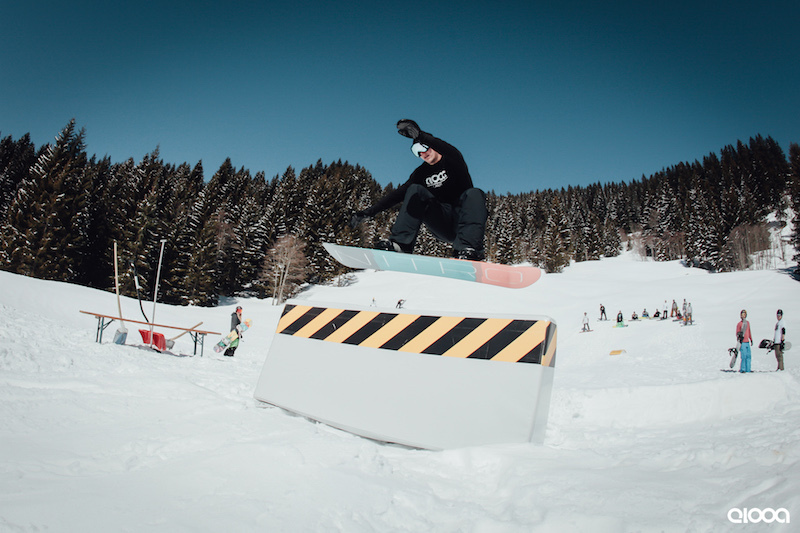 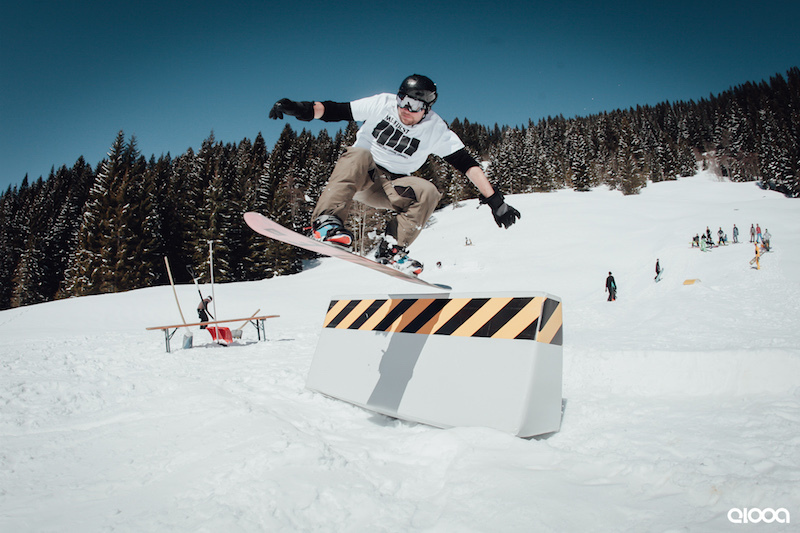 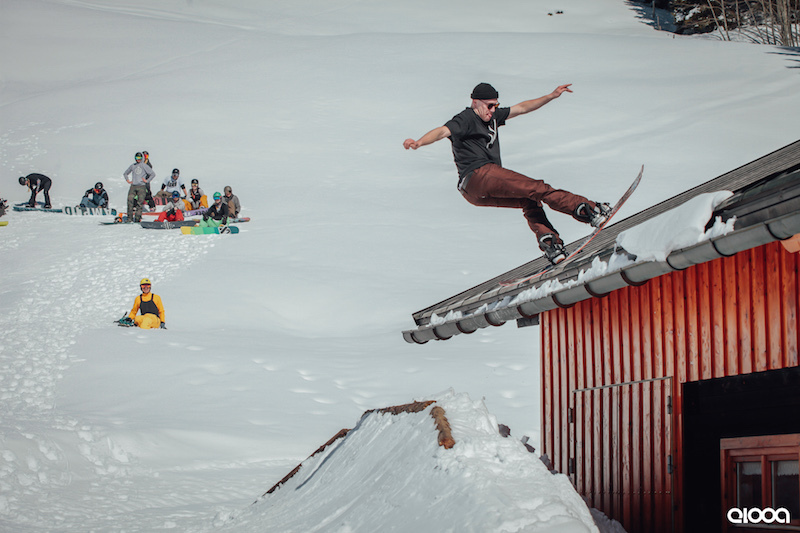 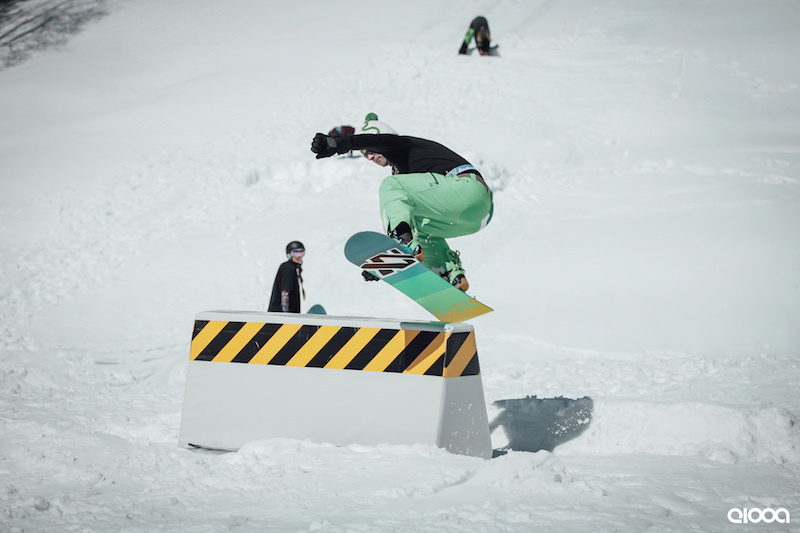 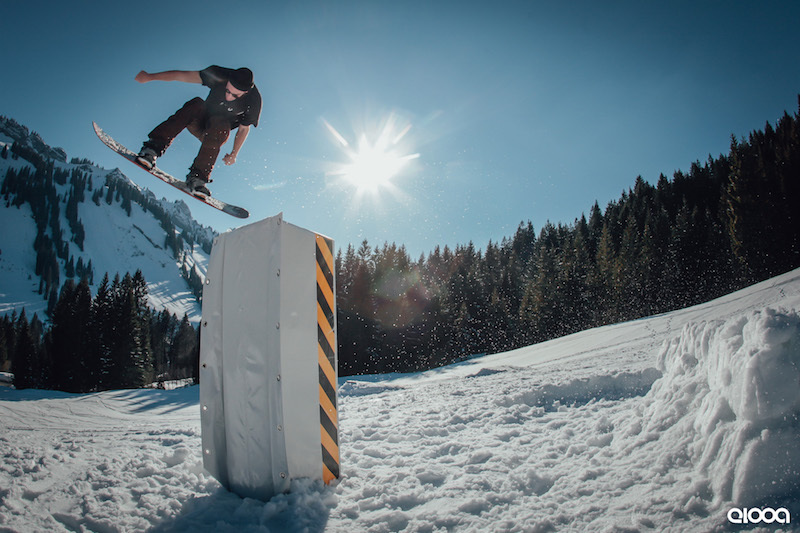 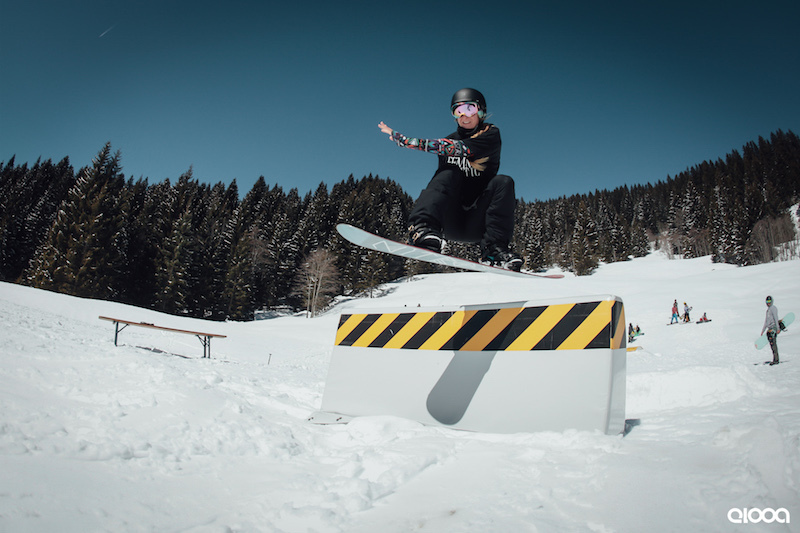 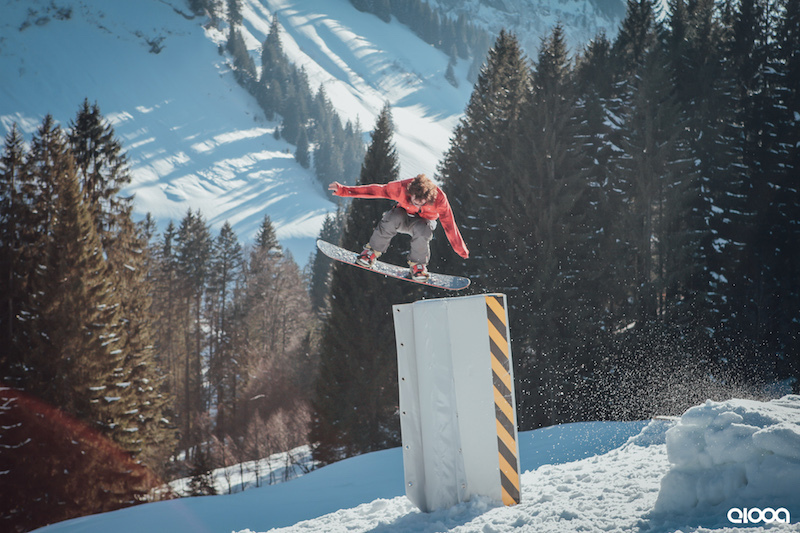 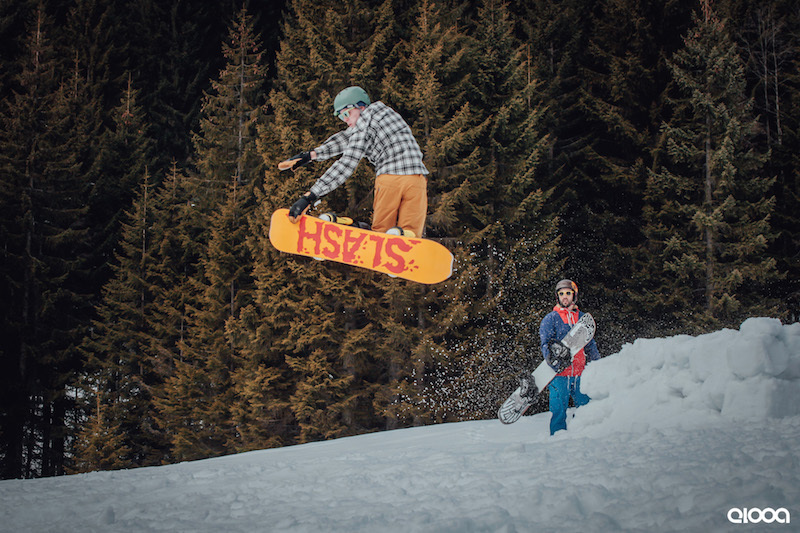 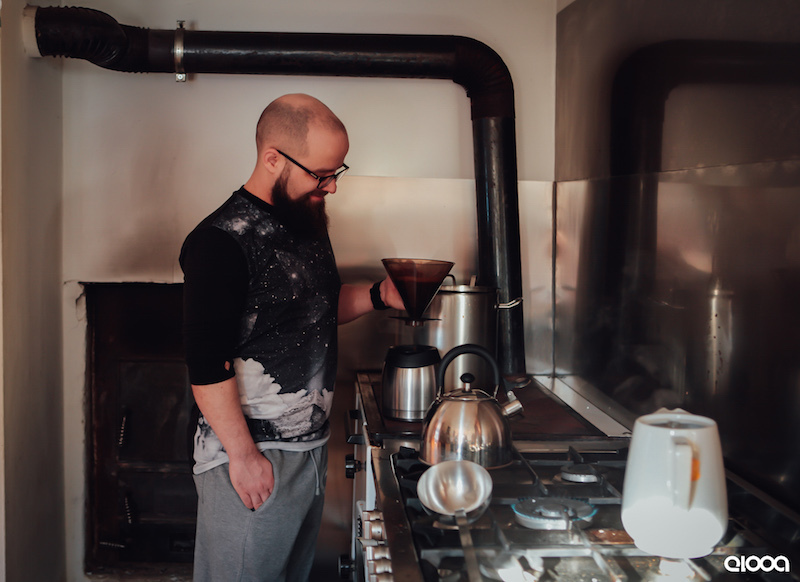 Press Release: For the second edition of the elooa HOME SWEET HOME CAMP presented by BLUE TOMATO, we welcomed a total number of 30 participants in our mountain lodge for an outstanding freestyle last weekend! 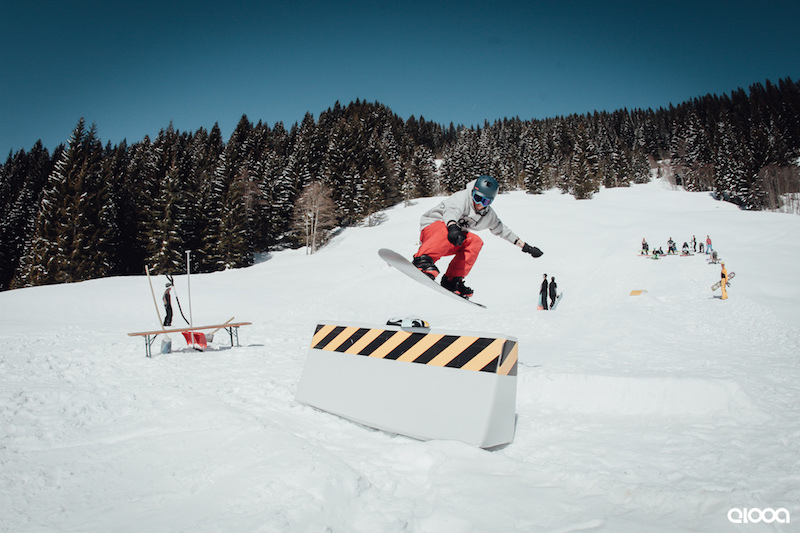 With bright sunshine and best spring conditions, we started very motivated on Saturday morning. 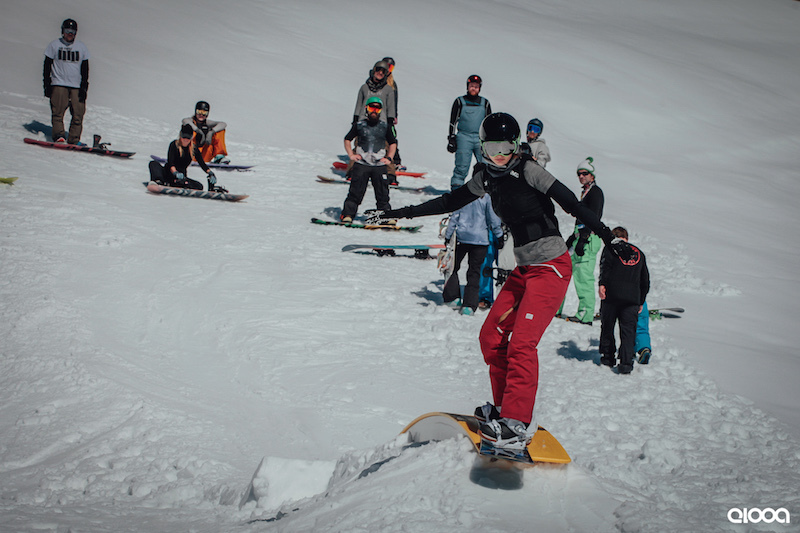 After a warm-up together, various groups were formed to work on the individual freestyle skills with the pros and elooa coaches. 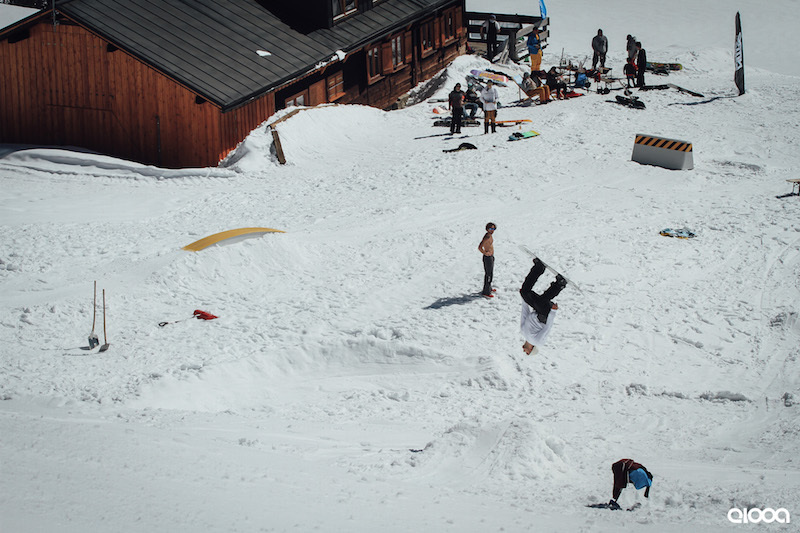 In addition, the campers could express their own wishes and so the Snowpark was steadily expanded. 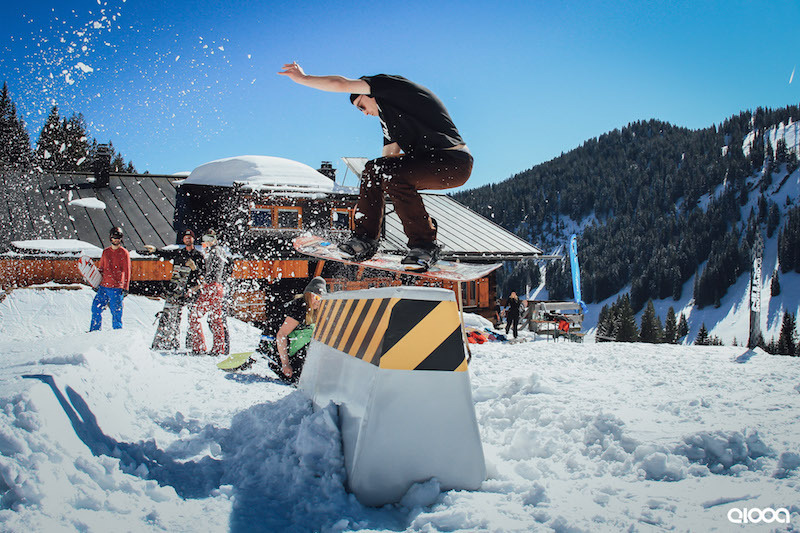 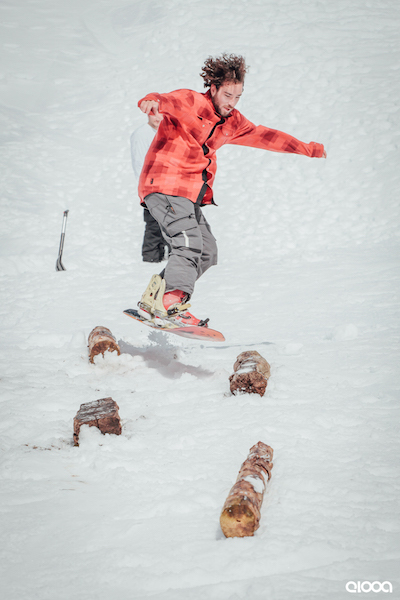 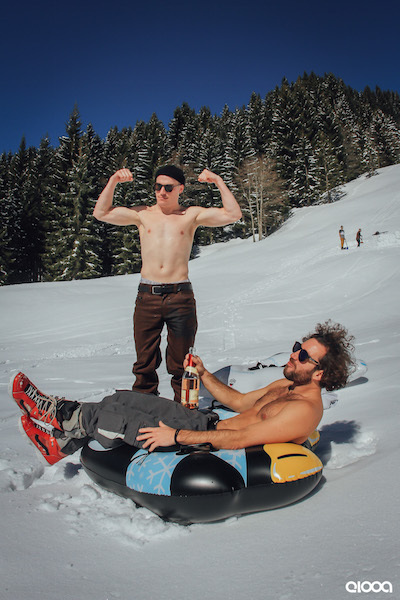 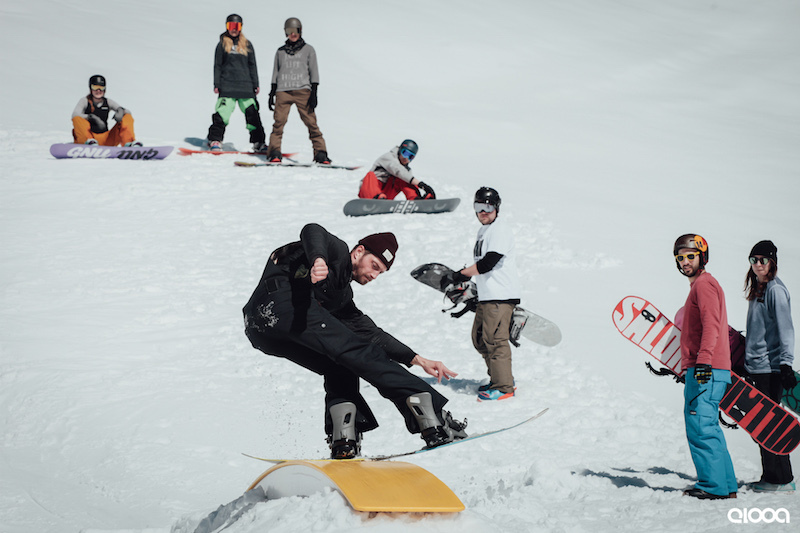 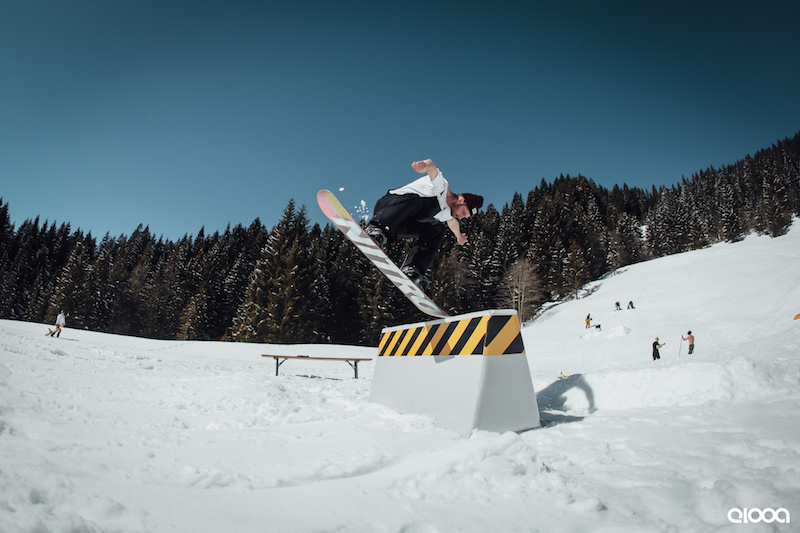 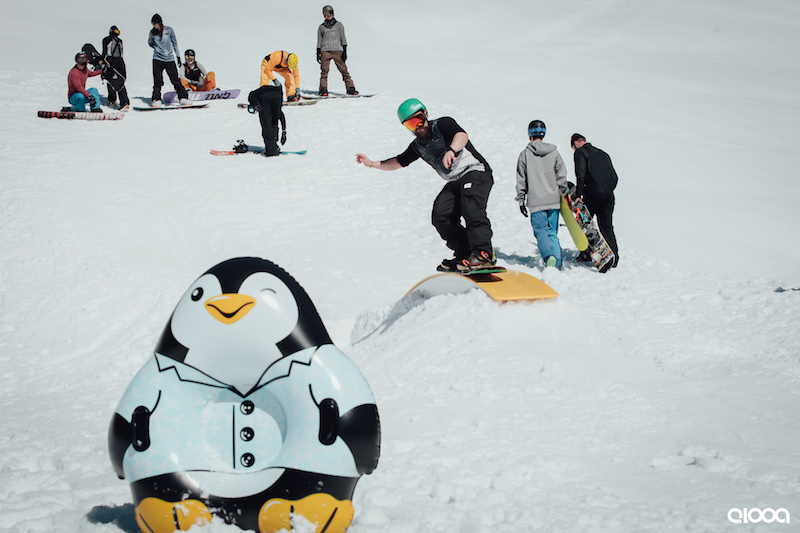 At lunchtime, there was a delicious BBQ and everyone was able to test the latest Nitro Snowboards for free all day long. 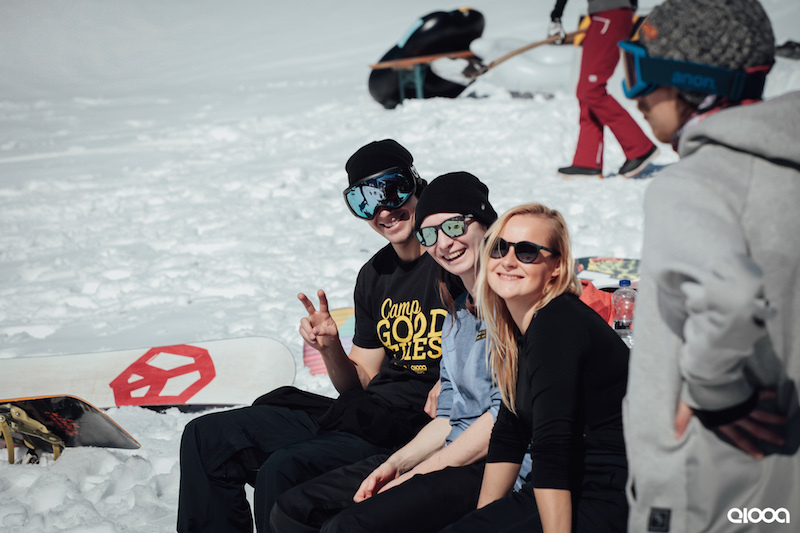 Until sunset, everyone was shredding and enjoyed the time in the private backyard and the mountain hut with good vibes and chilly atmosphere to the fullest! 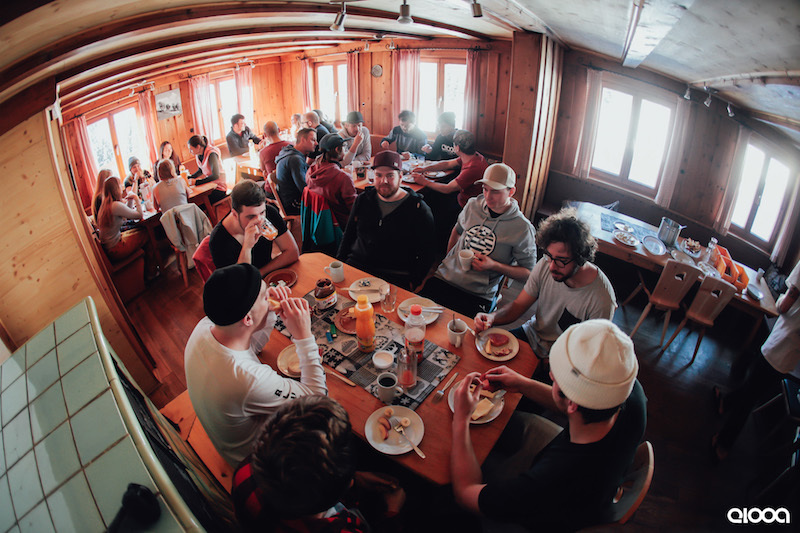 After dinner together, a detailed video coaching was waiting for the participants. 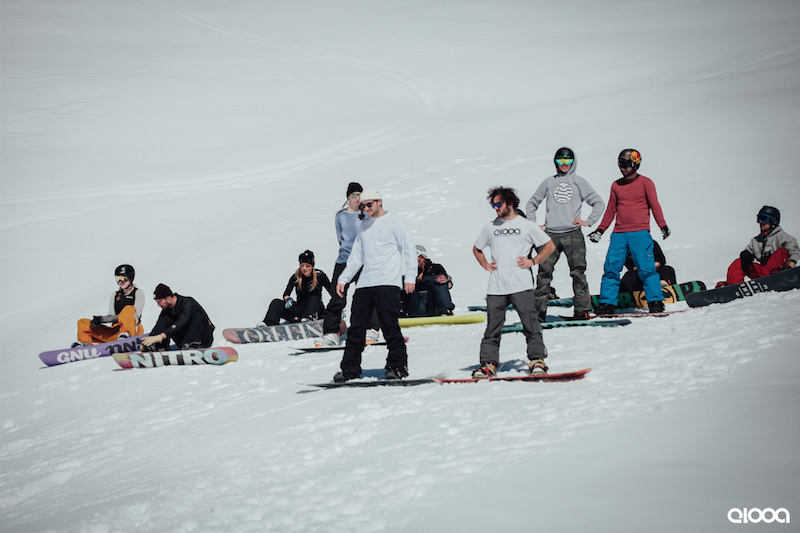 With a couple beers and games, an eventful day came to the end. 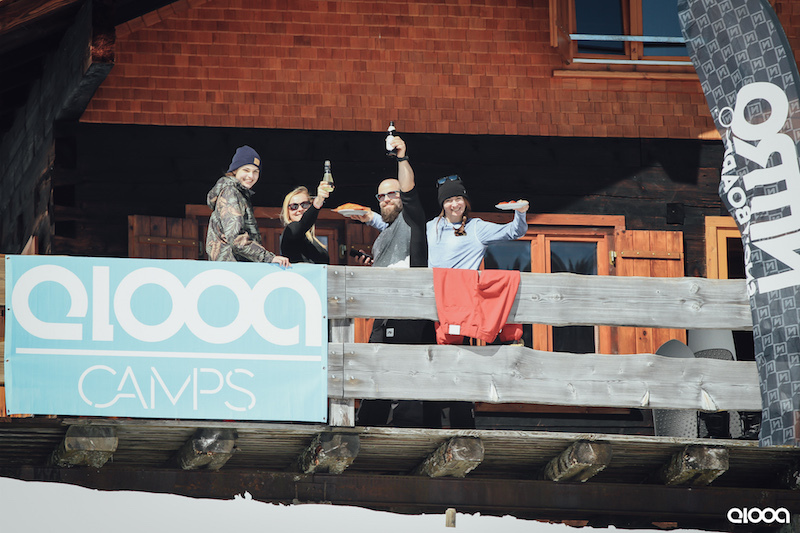 On the final Sunday, all participants made quick successes and everything was filmed and recorded by a professional photographer. 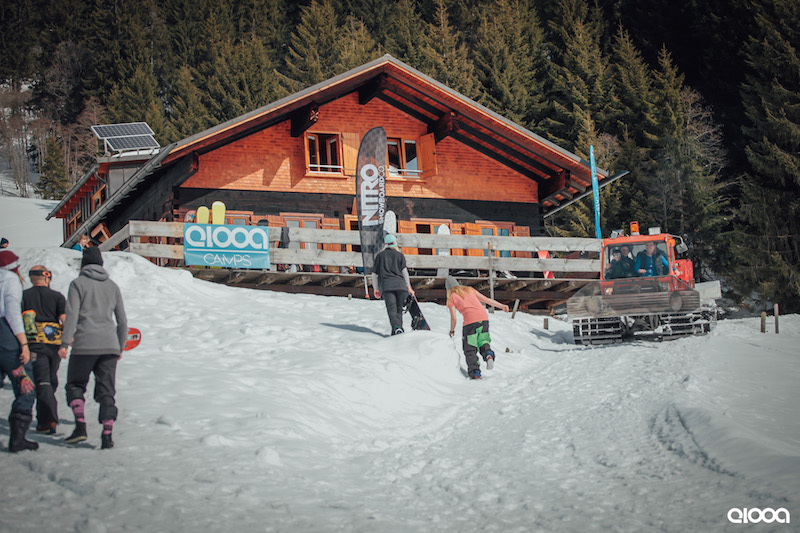 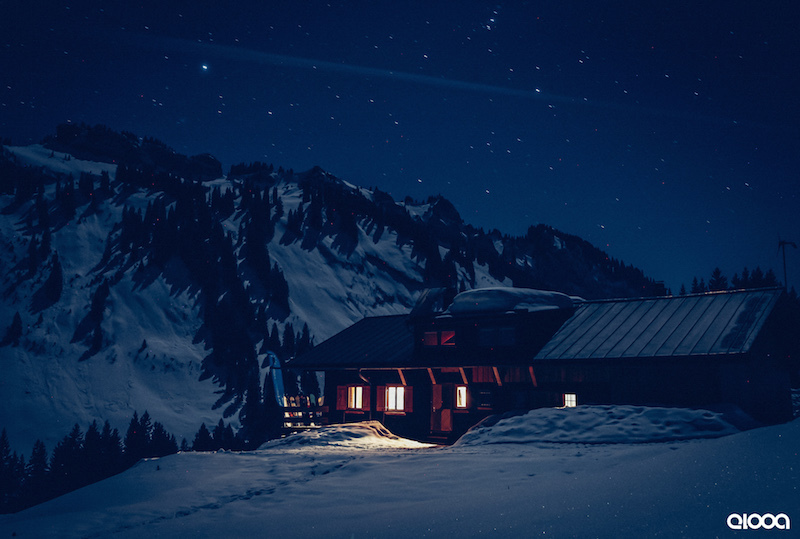 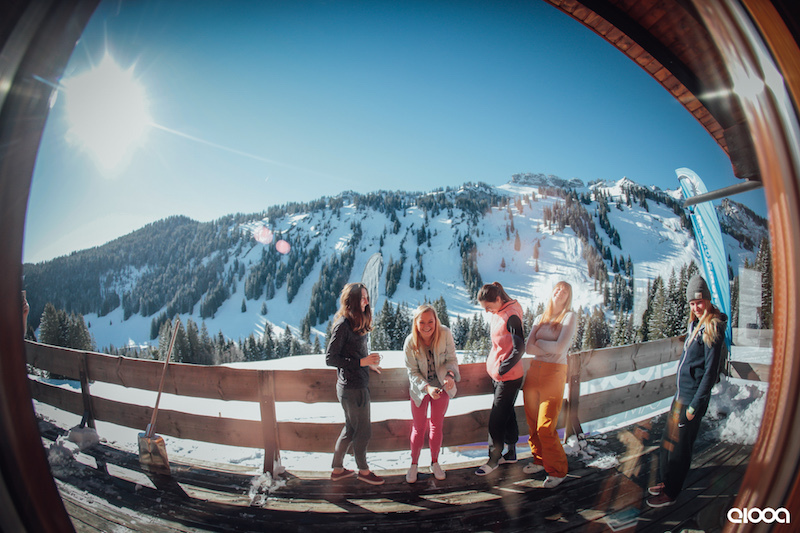 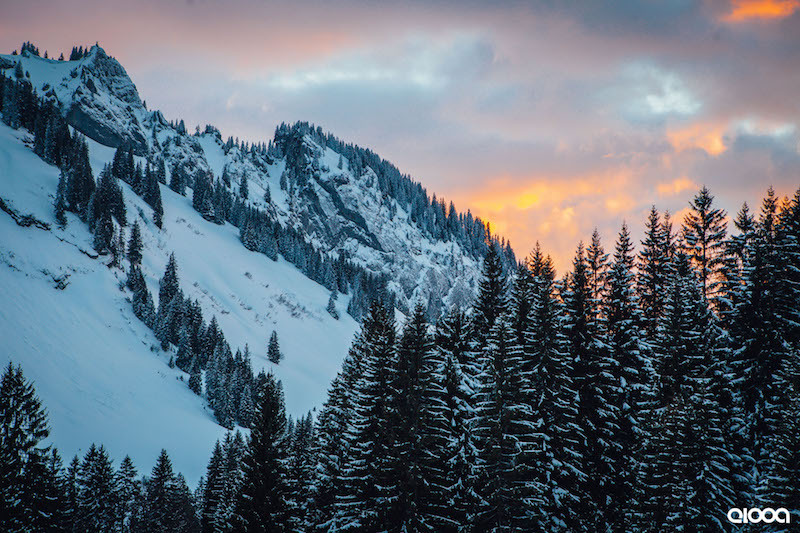 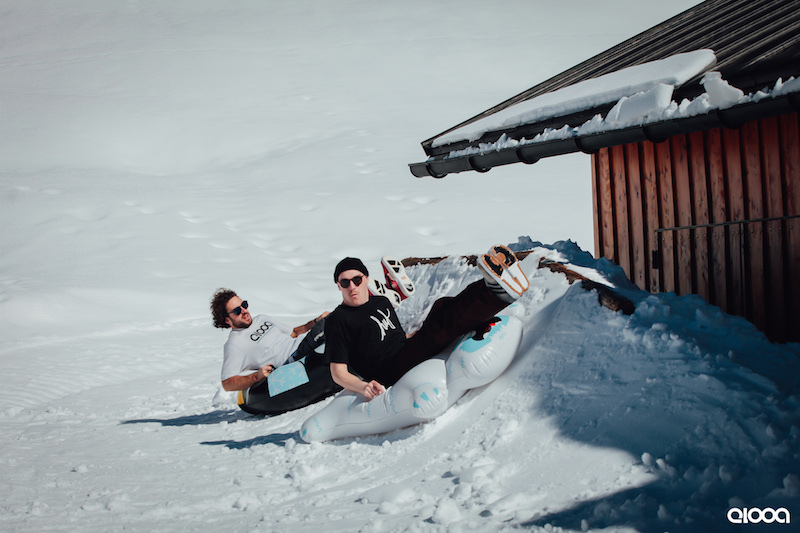 A perfect hut weekend has come to an end and we are already looking forward to the legendary elooa CAMP GOOD TIMES in May in Kaunertal – then maybe with you!